Since hypers are overtaking the game (and by this, I mean gaining more and more space), it would be interesting to know how one hyper resource works exactly, ie food hypers. When we start playing the game, the common believe is that without food production or troops will die, cuz they will starve to death. So we start building more and more farms in hopes of maintaining a positive upkeep in order to "keep the troops alive". Officially troops don't die so farms are being replace by quarries, mines or lumber mills farms. How do we build a food hyper farm? I've noticed that those accounts usually don't have troops, or just 1 soldier in order to secure the leader in shelter. Before going into details, let's go back to basics. 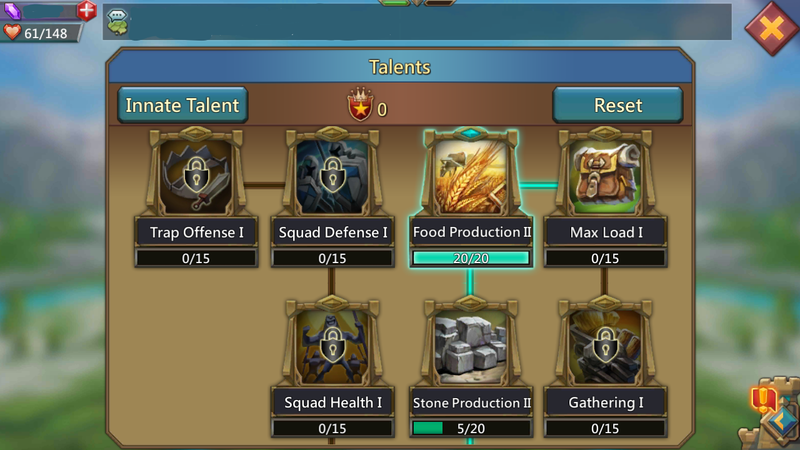 Food harvesting I (lvl 9 or 10, as high as your academy allows you to go). Pact 1B Terraspike (Food production +25% at max grade) & Pact 2A Evil Weevil (+35% at max grade; try to max out his second ability it will allow you to produce 4hrs of rss in an instant every day and half, every 24hrs at max level). For the image: all credits go to HephBot. Farms everwhere. All 24 except one that is lvl 25 (since you need it for castle 25). 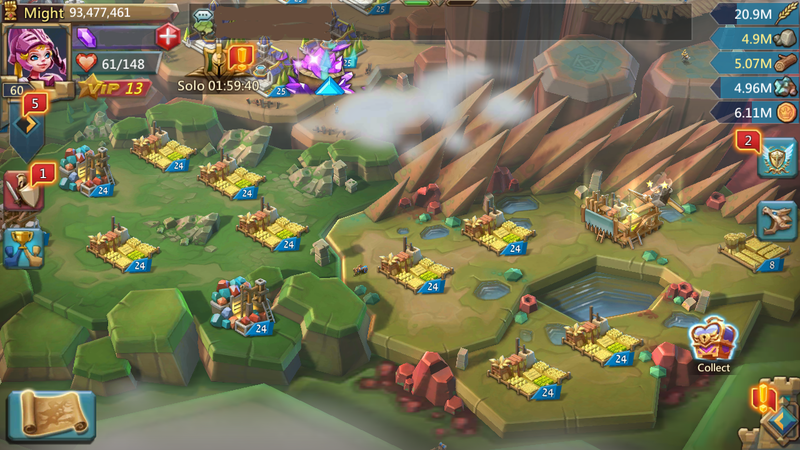 They will be going to 25 once all farms are 24. Current production. 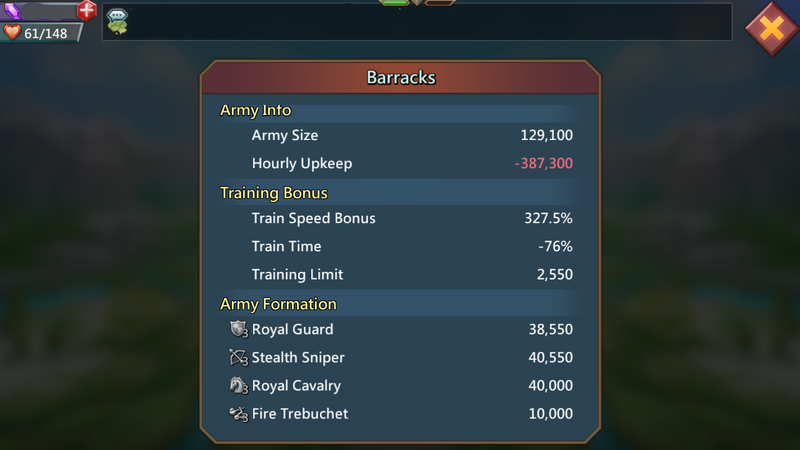 No boost or gear is used. 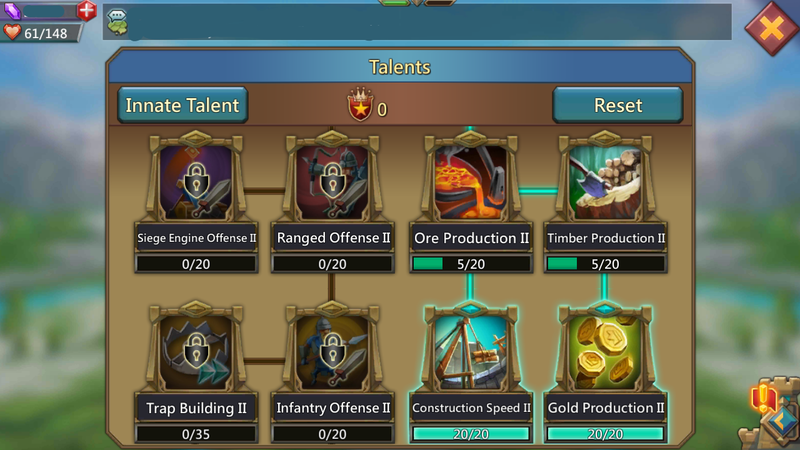 This account is mainly gold hyper so gear is oriented for gold production. 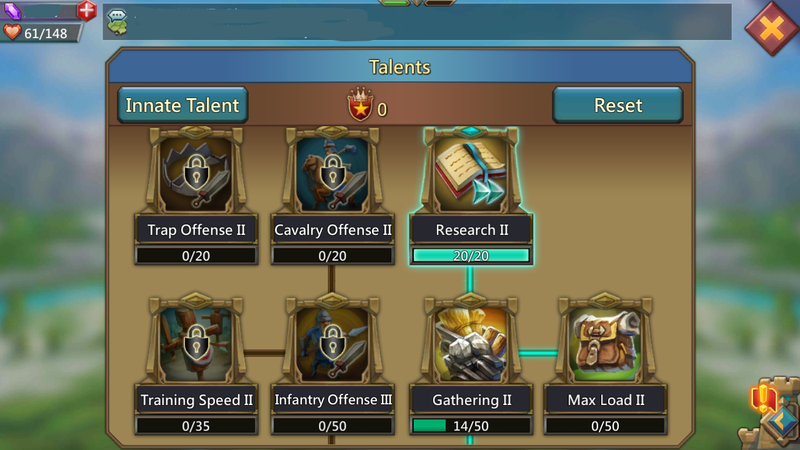 It has some t3s mainly used for gathering purpose in kvk or guild fest. Since it was attacked not too long ago, troops are being rebuilt. 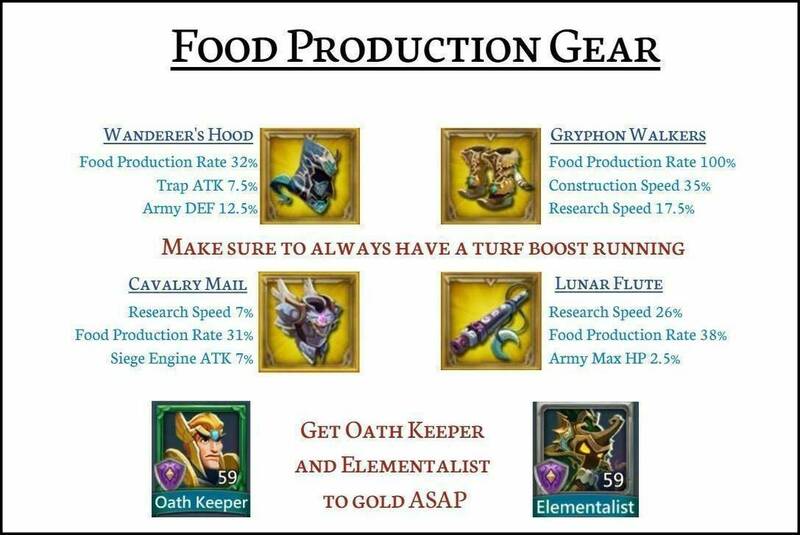 You can still produce a decent amount of food with 150k to 200k troops (for the latter it is better to use food prod gear). Bear in minf that your upkeep must never be higher than what you are producing per hour (-387k compared to +2m produced). 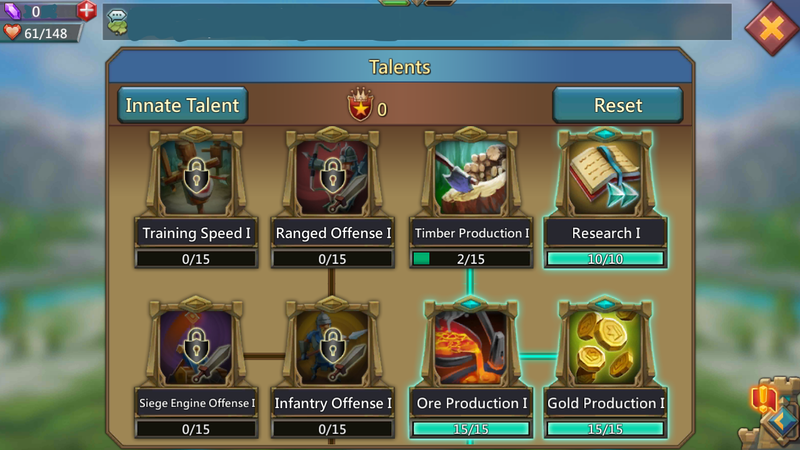 This is an example on talent set. 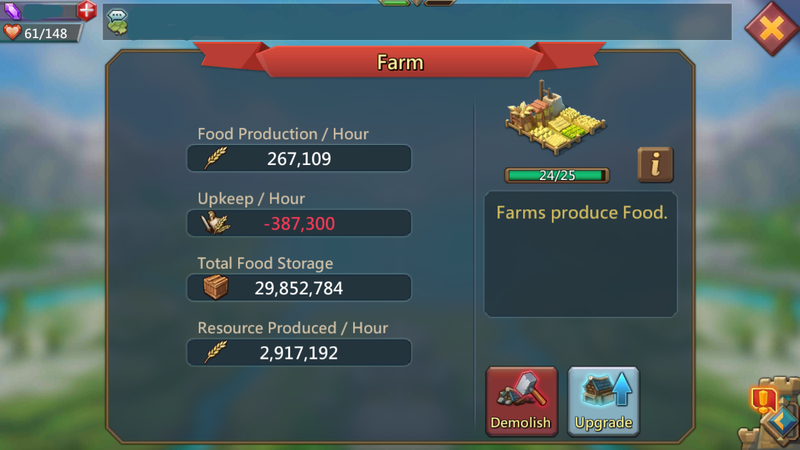 Food production should be max out. Construction and research as well if you are still building and doing some researches. 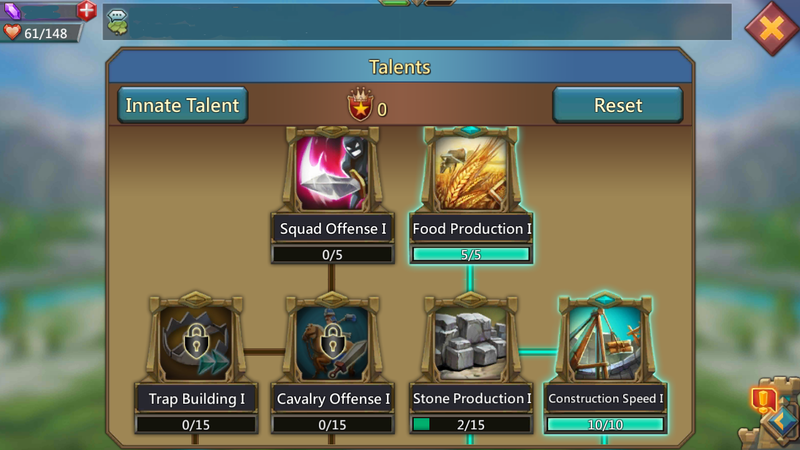 The rest of your talent points can be used in whichever way you want. 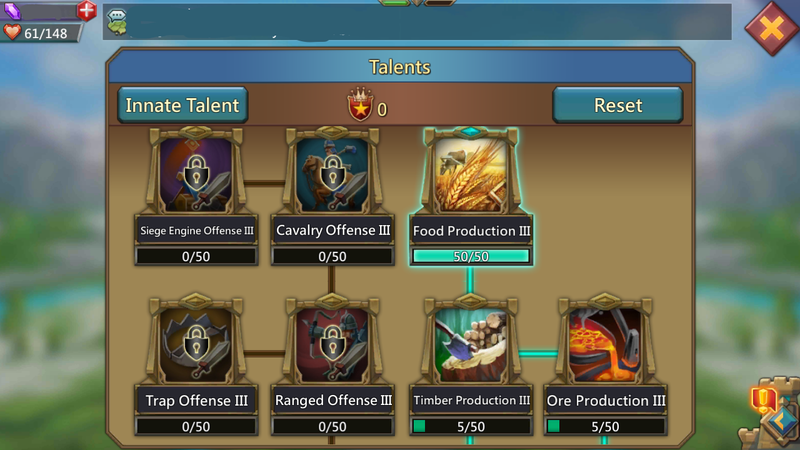 It is possible to have troops and be a hyper food. The account I'm using for example, is my alt account and does not have academy 25 yet (plenty of work before that happens). Next Next post: [Video Guide] How to mass SHELTER your troops!